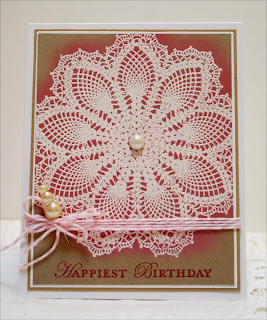 Stampin' Up supplies of Hello, Doily stamp embossed in white on Crumb Cake cardstock, Whisper White base. 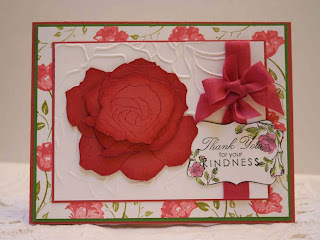 Shaded with Regal Rose craft ink , birthday sentiment is from Apothecary Art in Primrose Petals ink. I used the Fifth Avenue Floral with the new Primrose Petals cardstock, old Hand Painted Petites for the background roses and Four Frames for the sentiment. The matting on one of the layers is the new Gumball Green, a brighter and livelier shade of Old Olive. 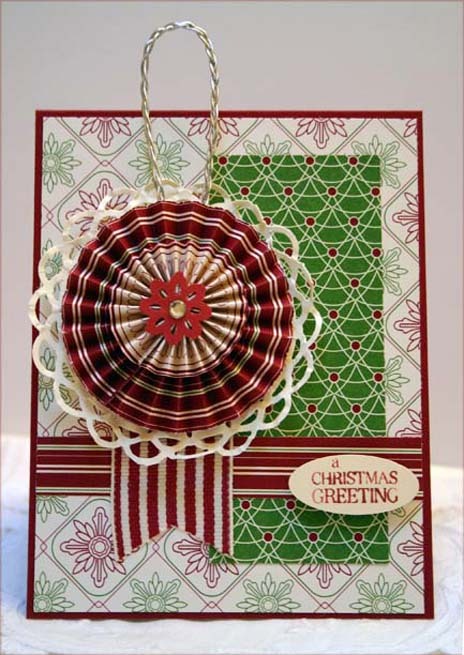 This is a modified case of a card by Mary Marsh, today's SCS Queen for the Day. 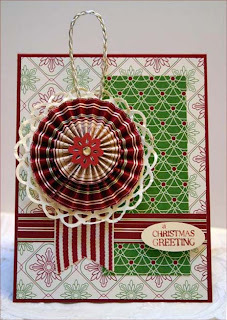 This is the new SU designer paper from the upcoming catalog called Be of Good Cheer. 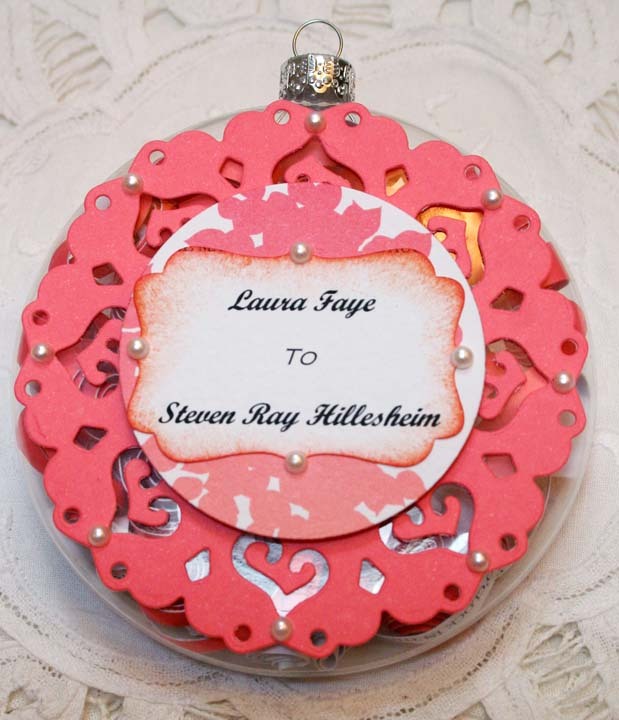 I made a removable medallion ornament using the paper, doily die and punch, braided some SU silver cording for hanging. Sketch is this week's Mojo Monday. Sentiment is from Tags Til Christmas. I was so happy to see that You Are Loved made it into the catalog, I love the versatility of this set. I was inspired for the main image by the sample in the catalog, you could only see the heart/banner/flower part of it there. I used the Vintage Wallpaper folder to emboss the background. 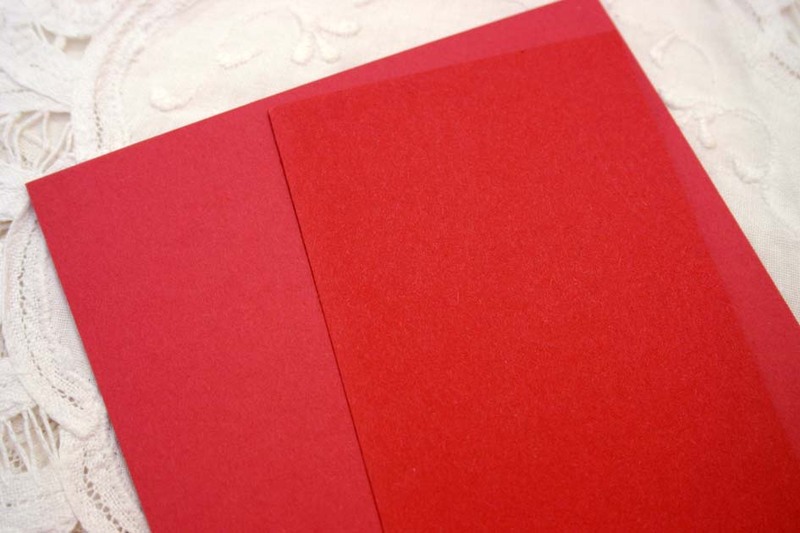 En Francais stamped on main image and then run through the Big Shot with the Square Lattice folder, then run through again on the outside of the folder to flatten it down some. 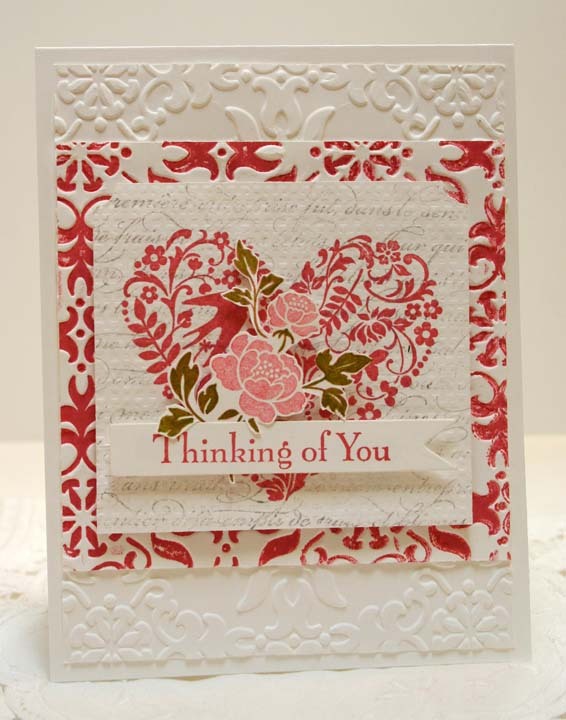 I used the new SU In Color of Primrose Petals, stamped the heart, stamped off once for the sentiment and twice for the rose. 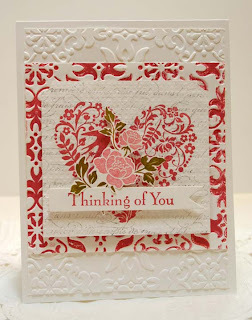 You can get some really pretty shades of this color by stampin off. Love the reconfigured stamp pads. I was really looking forward to getting this new color because I thought it looked similar to my beloved Rose Romance from years back but it's not. I have this picture with the Primrose Petals and a strip of Ruby Red on top, they are very, very similar. 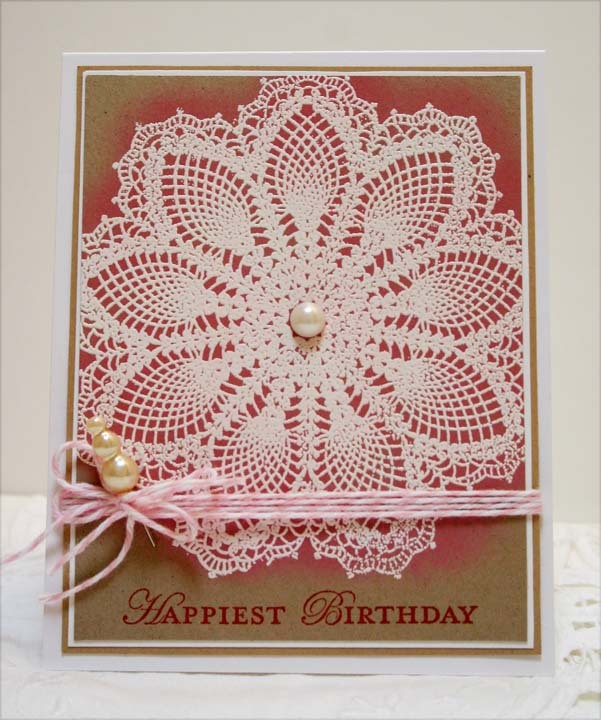 (See picture below) I'll be back this week with more samples of cards made with the new colors. 4" glass ornament found at Ben Franklin crafts. The rest of the ornament is my niece's wedding invitation, shredded and curled for the inside, cut out with Nestabilities frame and Stampin' Up label punch for personalized part. Embellished with pearls. 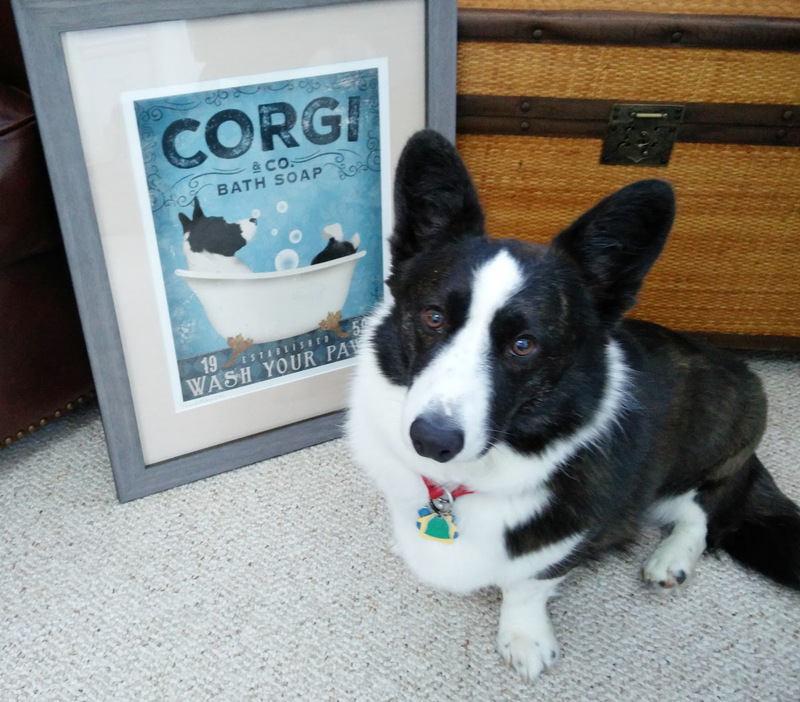 This will be a gift for Laura for Christmas. 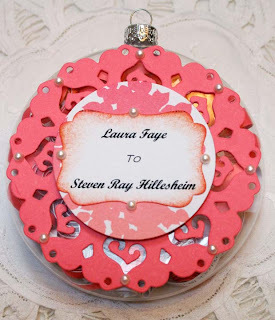 I got the idea for cutting up the invitation for an ornament from the blog "You Stir Me". 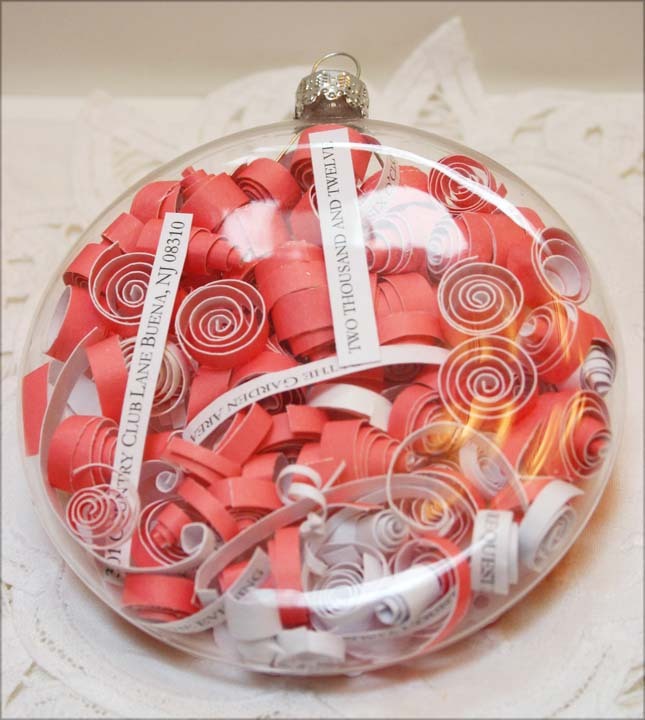 A great way to recycle and create a keepsake!